New high-speed transatlantic network to benefit science collaborations across the U.S. This Fermilab press release came out on Oct. 20, 2014. Scientists across the United States will soon have access to new, ultra-high-speed network links spanning the Atlantic Ocean thanks to a project currently under way to extend ESnet (the U.S. Department of Energy’s Energy Sciences Network) to Amsterdam, Geneva and London. Although the project is designed to benefit data-intensive science throughout the U.S. national laboratory complex, heaviest users of the new links will be particle physicists conducting research at the Large Hadron Collider (LHC), the world’s largest and most powerful particle collider. The high capacity of this new connection will provide U.S. scientists with enhanced access to data at the LHC and other European-based experiments by accelerating the exchange of data sets between institutions in the United States and computing facilities in Europe. DOE’s Brookhaven National Laboratory and Fermi National Accelerator Laboratory—the primary computing centers for U.S. collaborators on the LHC’s ATLAS and CMS experiments, respectively—will make immediate use of the new network infrastructure once it is rigorously tested and commissioned. 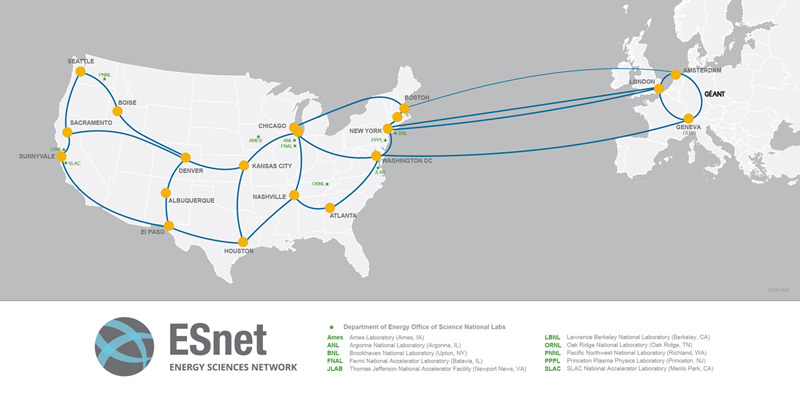 Because ESnet, based at DOE’s Lawrence Berkeley National Laboratory, interconnects all national laboratories and a number of university-based projects in the United States, tens of thousands of researchers from all disciplines will benefit as well. The ESnet extension will be in place before the LHC at CERN in Switzerland—currently shut down for maintenance and upgrades—is up and running again in the spring of 2015. Because the accelerator will be colliding protons at much higher energy, the data output from the detectors will expand considerably—to approximately 40 petabytes of raw data per year compared with 20 petabytes for all of the previous lower-energy collisions produced over the three years of the LHC first run between 2010 and 2012. 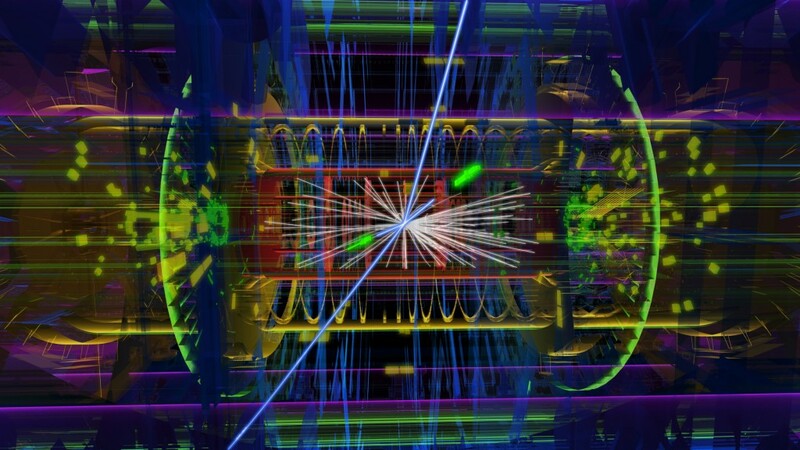 The cross-Atlantic connectivity during the first successful run for the LHC experiments, which culminated in the discovery of the Higgs boson, was provided by the US LHCNet network, managed by the California Institute of Technology. 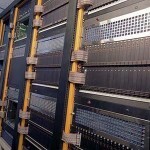 In recent years, major research and education networks around the world—including ESnet, Internet2, California’s CENIC, and European networks such as DANTE, SURFnet and NORDUnet—have increased their backbone capacity by a factor of 10, using sophisticated new optical networking and digital signal processing technologies. Until recently, however, higher-speed links were not deployed for production purposes across the Atlantic Ocean—creating a network “impedance mismatch” that can harm large, intercontinental data flows. 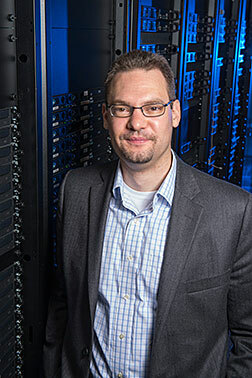 “Having the new infrastructure in place will meet the increased need for dealing with LHC data and provide more agile access to that data in a much more dynamic fashion than LHC collaborators have had in the past,” said physicist Michael Ernst of DOE’s Brookhaven National Laboratory, a key member of the team laying out the new and more flexible framework for exchanging data between the Worldwide LHC Computing Grid centers. 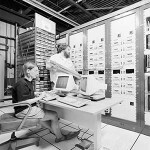 Ernst directs a computing facility at Brookhaven Lab that was originally set up as a central hub for U.S. collaborators on the LHC’s ATLAS experiment. 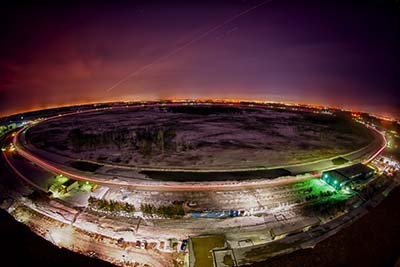 A similar facility at Fermi National Accelerator Laboratory has played this role for the LHC’s U.S. collaborators on the CMS experiment. 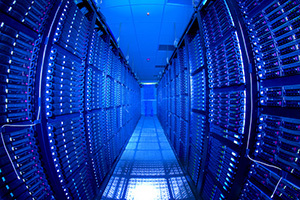 These computing resources, dubbed Tier 1 centers, have direct links to the LHC at the European laboratory CERN (Tier 0). The experts who run them will continue to serve scientists under the new structure. 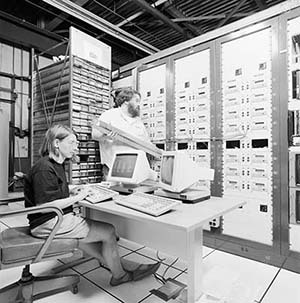 But instead of serving as hubs for data storage and distribution only among U.S.-based collaborators at Tier 2 and 3 research centers, the dedicated facilities at Brookhaven and Fermilab will be able to serve data needs of the entire ATLAS and CMS collaborations throughout the world. And likewise, U.S. Tier 2 and Tier 3 research centers will have higher-speed access to Tier 1 and Tier 2 centers in Europe. ESnet is funded by DOE’s Office of Science to meet networking needs of DOE labs and science projects. The transatlantic extension represents a financial collaboration, with partial support coming from DOE’s Office of High Energy Physics (HEP) for the next three years. Although LHC scientists will get a dedicated portion of the new network once it is in place, all science programs that make use of ESnet will now have access to faster network links for their data transfers. 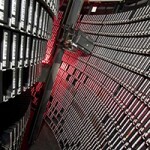 Visit Brookhaven Lab’s electronic newsroom for links, news archives, graphics, and more at http://www.bnl.gov/newsroom, follow Brookhaven Lab on Twitter, http://twitter.com/BrookhavenLab, or find us on Facebook, http://www.facebook.com/BrookhavenLab/. This article originally appeared in symmetry on Sept. 30, 2013. When a handful of developers at Fermilab modified a computer operating system for use in particle physics, they had no idea their creation would eventually be used by millions inside and outside of science. Today’s version of the system, called Scientific Linux, runs on computers around the world: at top universities, national laboratories and even in low Earth orbit on the International Space Station. An alternative to Windows or Mac, it has attracted the attention of people from a variety of fields. For example, at the University of Wisconsin at Madison, where the majority of the campus grid is running Scientific Linux, students in fields as diverse as statistics, chemical engineering, economics and avian research use the operating system. When Fermilab Lead Scientific Linux Developer Connie Sieh started the development of the first iteration of the system in 1997, though, she was just looking for cheaper hardware. In the early 1990s, Fermilab scientists used proprietary operating systems from companies like IBM and SGI, Sieh says. But in 1997, as personal computers became more commonplace, Linux and other free operating systems did, too—for everyday people and, especially, scientists. So when a computing-heavy project came up at Fermilab, Sieh opted to replace the more expensive IBM and SGI hardware and the software that came with those machines. The new software she decided on was a version of Linux distributed by software company RedHat Inc., mostly because it was free and had the option to be installed in batches, which would save a ton of time. At the same time, RedHat’s Linux was simple enough for scientists to install at their desktops on their own. 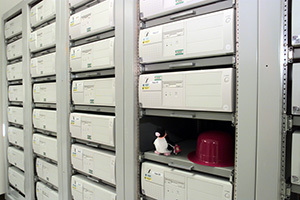 The computing project, running on Linux, was successful, so the laboratory kept using it. In 1998, Fermilab released a product called FermiLinux, tailored to fit the lab’s needs. It was possible to modify the operating system only because, in addition to being free, RedHat’s Linux comes with its source code fully included. This would be a little like a car company supplying detailed blueprints of its cars to every customer and its competitors. Open-source software allows customers to customize a product to meet their exact specifications. “They go above and beyond what they have to do, as far as releasing the source code,” Sieh says. Fermilab continued to use FermiLinux until 2003, when RedHat announced that it would start charging money for its product. It took only about a week for Fermilab to use the source code from RedHat’s no-longer-free product to get its own, freely accessible version up and running—what would become Scientific Linux. 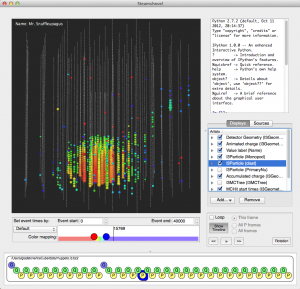 By early 2004, a collaboration of developers from Fermilab, CERN and a few other labs released Scientific Linux for the entire high-energy physics community to use. That operating system is the same one that millions of scientists and non-scientists use, free of charge, to this day. Whenever RedHat releases an update, about once every six months, Fermilab purchases it, and the lab’s tiny team of developers—currently, just Fermilab’s Sieh, Pat Riehecky and Bonnie King—work in overdrive to get their version out soon after, adding tools and customizations they think will be useful. Aside from big users like the national labs, Sieh says, about 140,000 others run Scientific Linux. 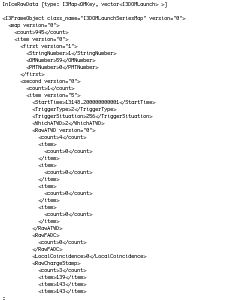 And, of course, the program is still widely used in the field it was first meant to serve. Its global presence ensures some consistency and unity across many large institutions. Alec Habig, a physics professor at the University of Minnesota, Duluth, says when his students visit other institutions to do research, “they know what they’re doing already,” having become familiar with the operating system at the university. The art of data mining is about searching for the extraordinary within a vast ocean of regularity. This can be a painful process in any field, but especially in particle physics, where the amount of data can be enormous, and ‘extraordinary’ means a new understanding about the fundamental underpinnings of our universe. Now, a tool first conceived in 2005 to manage data from the world’s largest particle accelerator may soon push the boundaries of other disciplines. When repurposed, it could bring the immense power of data mining to a variety of fields, effectively cracking open the possibility for more discoveries to be pulled up from ever-increasing mountains of scientific data. Advanced data management tools offer scientists a way to cut through the noise by analyzing information across a vast network. The result is a searchable pool that software can sift through and use for a specific purpose. One such hunt was for the Higgs boson, the last remaining elementary particle of the Standard Model that, in theory, endows other particles with mass. With the help of a system called PanDA, or Production and Distributed Analysis, researchers at CERN’s Large Hadron Collider (LHC) in Geneva, Switzerland discovered such a particle by slamming protons together at relativistic speeds hundreds of millions of times per second. The data produced from those trillions of collisions—roughly 13 million gigabytes worth of raw information—was processed by the PanDA system across a worldwide network and made available to thousands of scientists around the globe. From there, they were able to pinpoint an unknown boson containing a mass between 125–127 GeV, a characteristic consistent with the long-sought Higgs. An ATLAS event with two muons and two electrons - a candidate for a Higgs-like decay. The two muons are picked out as long blue tracks, the two electrons as short blue tracks matching green clusters of energy in the calorimeters. ATLAS Experiment © 2012 CERN. Here I am at CERN, for the first time in more than three months. When I was here this summer, I stayed for five weeks and had my family along with me. Now I’m just here for a short stay and rooming in the hostel again. But in some ways, it feels like I never left. (Except for the jet lag, of course.) The exciting times continue on the LHC experiments. We are under two weeks from the end of this year’s proton run, and we are eager to gather every last bit of data we can before the heavy-ion run and then a technical stop that won’t end until sometime in March. The dataset that we will end with will be more than twice as big as that which we analyzed for results that went to conferences this summer, so it will be very interesting to see what emerges with the additional data. 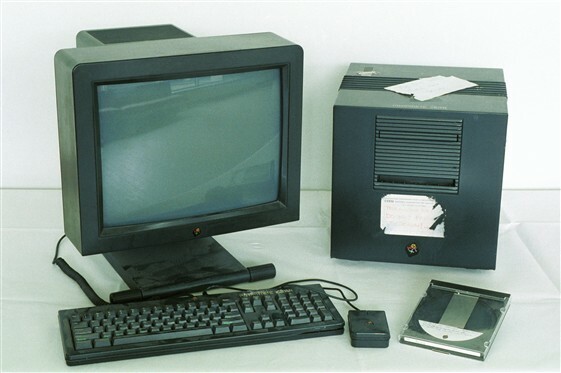 A NeXT computer, from 1990. It’s true, we trot this one out a lot in particle physics, but the Web was invented by particle physicists to be used as an information and document sharing system, and it ended up changing the world. Particle physics has driven many developments in computer science over the years, as we’ve long had large datasets and computationally-intensive problems. These days, I feel like I see a lot of back and forth between particle physics and the computing world. Because of the scale of the data volume that we serve and the number of users who want to access it, and because we’re trying to do it on the relatively cheap, we’ve moved to a model of distributed computing that is realized in the Worldwide LHC Computing Grid. Grid computing, which allows straightforward access to computing resources owned by others that aren’t being used at the moment, has been adopted across sciences that do large-scale computing, and cloud computing is an offshoot of this development. At the same time, we are definitely making use of computing technologies that have been developed in the commercial world. My favorite example of this is Hadoop. It’s a very powerful set of tools, and many US LHC computing sites are using its disk-management system, which is also used by Web sites like Facebook. It has good scaling properties and is easy to maintain, making life easier for site operators. We’re always on the lookout for new ideas that we can bring in from the computing world that will make it easier for physicists to make the most out of the LHC data. Thanks to all of these tools, someone — perhaps very soon — will be making a plot that could show evidence for new physical phenomena. It wouldn’t be possible without the computing systems that I just described. Will this plot be viewed for the first time on the screen of an Apple product? Will that very screen end up in a display at the Globe? We’ll see. It’s Labor Day weekend here in the US, but over at CERN it’s the end of the August technical stop for the LHC. To rework a common saying, this is the first day of the rest of the 2011 run. We have two months left of proton-proton collisions, followed by one month of lead-lead collisions, and then in December we’ll have the holiday “extended technical stop” that will probably extend to the spring. We’re expecting an important change in running conditions once we return from the technical stop, and that is a change in how the beams are focused. This will lead to an increased rate of collisions. Remember that the proton beams are “bunched”; the beam is not a continuous stream of particles but bunches with a large separation between them. The change in the focusing will help make the bunches more compact, and that in turn will mean that there will be more proton collisions every time a pair of bunches pass through each other. 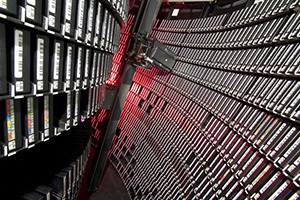 When our detectors record data, they record an entire bunch crossing as a single event. Thus, each individual event will be busier, with more collisions and more particles produced. However, all of this will be worth the trouble. Remember all of the excitement of the EPS conference? That was at the end of July, just a little more than a month ago. 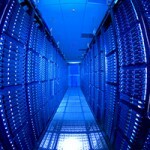 There is now about twice as much data that can be analyzed. With the increases in collision rate, we might well be able to double the dataset once again just in these next two months. Or, we might do even better. This will have a critical impact on our searches for new phenomena, and could allow the LHC experiments to discover or rule out the standard-model Higgs boson by the end of this year. Coming soon, to a theater near you. 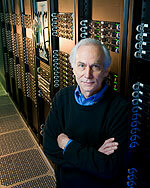 Fermilab theoretical physicist Paul Mackenzie, spokesperson for the USQCD collaboration. Click on image for higher resolution version. Photo credit: Reidar Hahn. The field of high-energy physics has always considered itself a family. To address some of the largest questions, such as how were we and the universe formed, it takes building-sized machines, enormous computing power and more resources than one nation can muster. This necessary collaboration has forged strong bonds among physicists and engineers across the globe. So naturally when March 11 a tsunami and series of earthquakes struck Japan, home to one of the world’s largest high-energy physics laboratories and an accelerator research center, physicists in the U.S. started asking how they could help. It turns out that they have a unique resource to offer: computer power. Lattice Quantum Chromodynamics (QCD)is a computational technique used to study the interactions of quarks and gluons and requires vast computing power. To help the Japanese continue this analysis, Fermilab and other U.S. labs will share their Lattice QCD computing resources. “We’re very happy that the shared use of our resources can allow our Japanese colleagues to continue their research during a time of crisis,” said Fermilab theoretical physicist Paul Mackenzie, spokesperson for the USQCD collaboration. 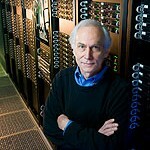 From now until the end of 2011, while computing facilities in eastern Japan face continuing electricity shortages, a percentage of the computing power at Brookhaven National Laboratory on Long Island, Fermi National Accelerator Laboratory near Chicago and Thomas Jefferson National Accelerator Facility in Virginia will be made available to the Japanese Lattice Quantum Chromodynamics (QCD) community.